Three years before The Waste Land, Eliot defends and gives critical language to his methods. Written in the tone of one skewering punier contemporary thinkers, Eliot redefines traditionalism as acute historical consciousness and knowing ‘the mind’ that flows through European culture. No subjectivity as to the nature of that ‘mind’ is admitted. The poet asserts his Impersonal Theory of Art, later to inspire anti-biographical New Criticism. 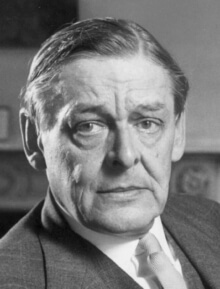 Using alchemical analogy, Eliot rejects the Romantic formula of sublime self-expression as poetry’s key test, instead seeking intensity from the untried fusions of elements. The conclusion spirals with paradox like a Popean verse essay.